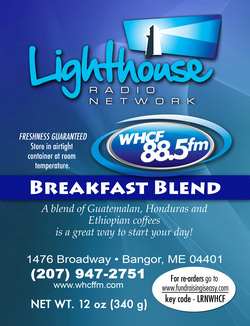 Enjoy Our GREAT Coffee and Support Your Station - WHCF! A unique island flavor with the sweet flavor of caramel blended with our coffee creates an uplifting cup of coffee that is smooth, and full flavored. A buttery, spicy blend of flavors, combined with flavors of Scotland, will bring out your inner Highlander in no time. Smooth & Delightful! Wake up your taste buds in the morning with our French Vanilla coffee. This coffee is sweet tasting with a delightful scent but without all the added sugars. Finally a decaf coffee with the same taste of it's caffeinated brother! A great coffee on all accounts. A great blend of Guatemalan, Honduras and Ethiopian coffees is a great way to start your day! This coffee exhibits all of the complex, earthy flavors and smooth, full body that you expect from Sumatran coffee. Dark roasted Colombian coffee beans. A coffee masterpiece with sweet middle notes, substance and a toffee finish. A medium body Colombian coffee, slightly sweet with a chocolate finish. Perk up with WHCF each day and know with every fresh brewed cup of coffee you are making a difference in helping to touch lives with the hope and love of Jesus Christ! 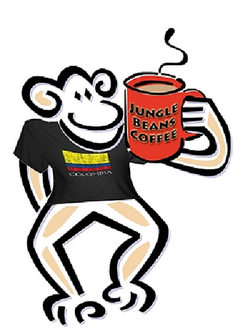 Click on any link above to order your coffee. BE SURE TO USE THE KEY CODE: LRNWHCF at checkout. Your coffee will come with our very own WHCF label as seen above. Since ordering 10 bags at one time comes with free shipping and handling, get together with two or three friends and place your order. It’ll save the shipping costs of up to $8.00 (i.e.Get 5 people to order 2 bags each, etc.). Thank you very much for joining the WHCF Coffee Club and supporting the ministry!